Looking for cute luggage tags for kids? 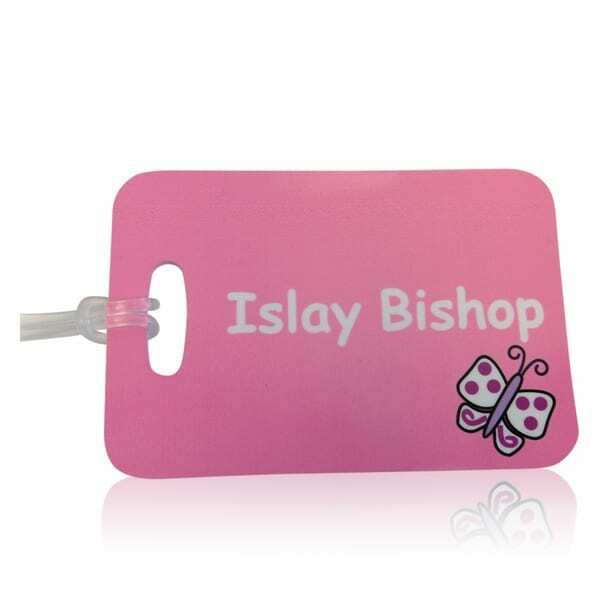 Our personalised butterfly luggage tags not only look beautiful, they really are practical. 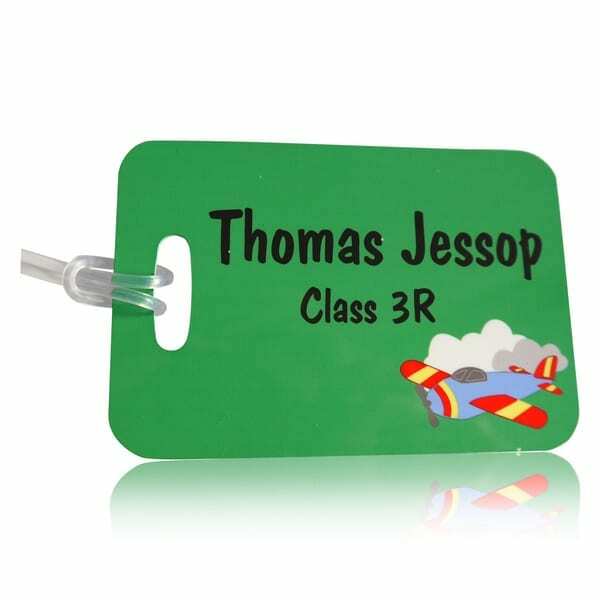 So if you have a child at school or nursery and need to name their school bag, or your need something for a suitcase identifier, you need personalised suitcase tags. Name it Labels have been designing and printing personalised suitcase tags since 2002. Offering high quality luxury luggage tags at prices that won't break the bank. Kids love our range of cute luggage tags. Our suitcase luggage tag measures 100 x 70 mm and is made from solid rigid plastic, so will not tear off the bag or case. All luggage tags come with loop attachment for securing to the bag or case. The butterfly design and your personalised details will appear on both sides. The luggage tag has a stunning high gloss finish which makes it waterproof and scratch resistant. 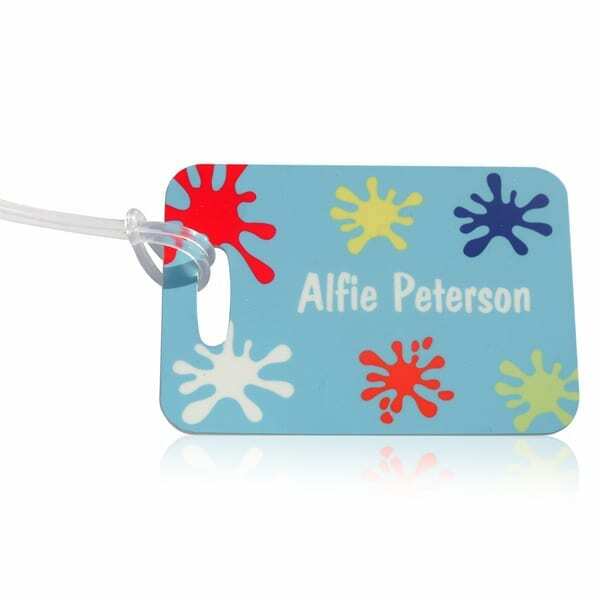 Our kids luggage tags come in over 15 gorgeous colours from pastel shades to bright colours. The butterfly appears in the bottom right hand corner of the suitcase tag. The butterfly colours will change to co-ordinate with your chosen tag colour. Customers have 2 lines of text available to personalise. Maybe you want to add a school name, or contact phone number. Or if the name is longer than 25 characters, we suggest you use both lines for the name. The longer the name or text, the smaller the print will appear. Cute luggage tags for kids make gifts for a child starting school or make embarking on their first family holiday. All children of all ages love to see their name in print.